Austin is known for doing things a little differently. Some might even call it weird. There is something unique to the Austin culture that keeps people coming back for more, and bringing an extreme sports event like X Games to the city was a no-brainer. 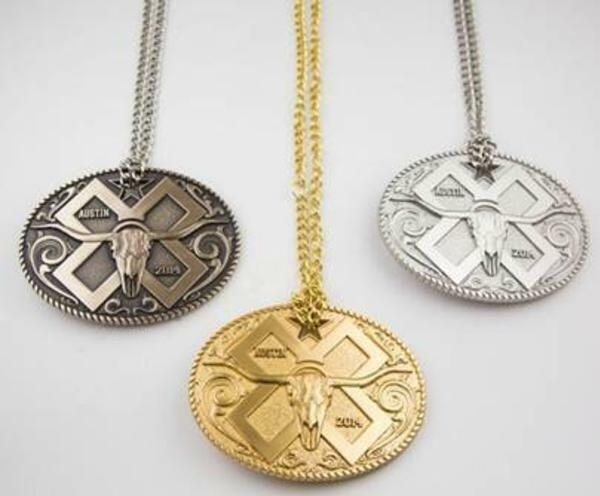 X Games prizes, Photo courtesy of X Games. In July 2013, it was announced that ESPN&apos;s X Games would be coming to Austin for the next four years. Ten months later, the first year of X Games Austin action is upon us. Thousands of fans will make their way through the turnstiles of Circuit of The Americas to see their favorite skateboarders, BMX riders and more compete for the prize, Texas-style belt buckles. There&apos;s rarely an event in Austin without live music, so be sure to check out the big-headliner music festival featuring Kanye West, Mac Miller, Pretty Lights, The Flaming Lips, Gary Clark Jr. and more. For folks who can&apos;t make it out to the track and would rather see some free action downtown, you&apos;re in luck! The Skateboard Vert Final and the BMX Vert Finals are Thursday, June 5th from 6:30 - 10 p.m. in downtown Austin with legendary Tony Hawk spicing up the action starting at 5 p.m. With the Capitol in the background, there&apos;s no better place to get a taste of the games. So, let&apos;s summarize. Austin is about to have an awesome takeover. Extreme sports. Good music. Tons of fun. You wont want to miss this exciting weekend here in Austin!